Taking advantage of it’s small size while it lasts, only a couple more rows until it’s really too cumbersome to carry around. We’re reaching that point quickly! 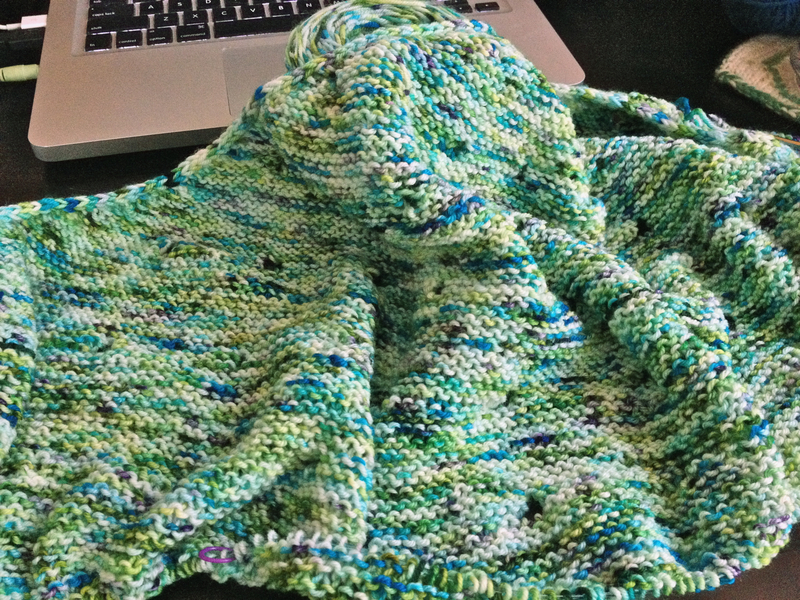 I’m definitely not stopping at small…going as big as possible with this one! 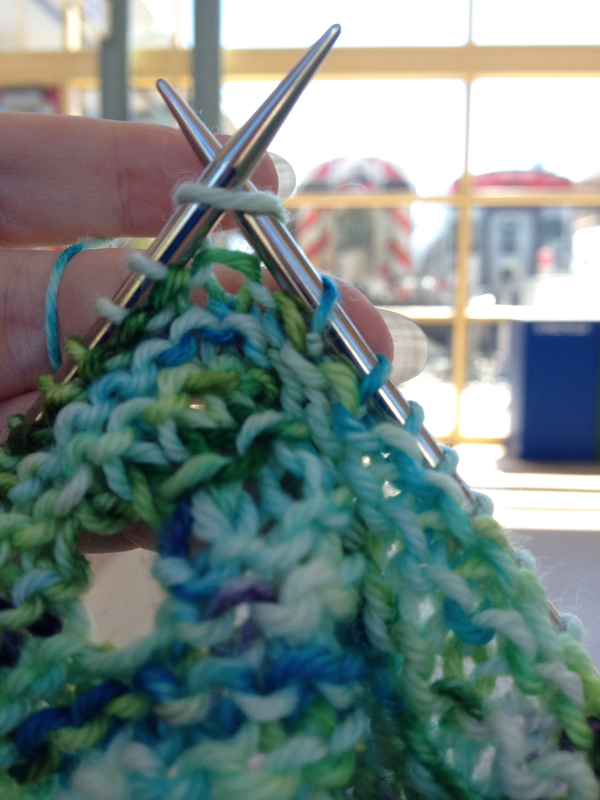 I’ve still got a long way to go…I’ve done 10 of 15 ‘repeats’…I’d better find a bus to ride, there’s knitting to be done! Last week had lots of distractions. 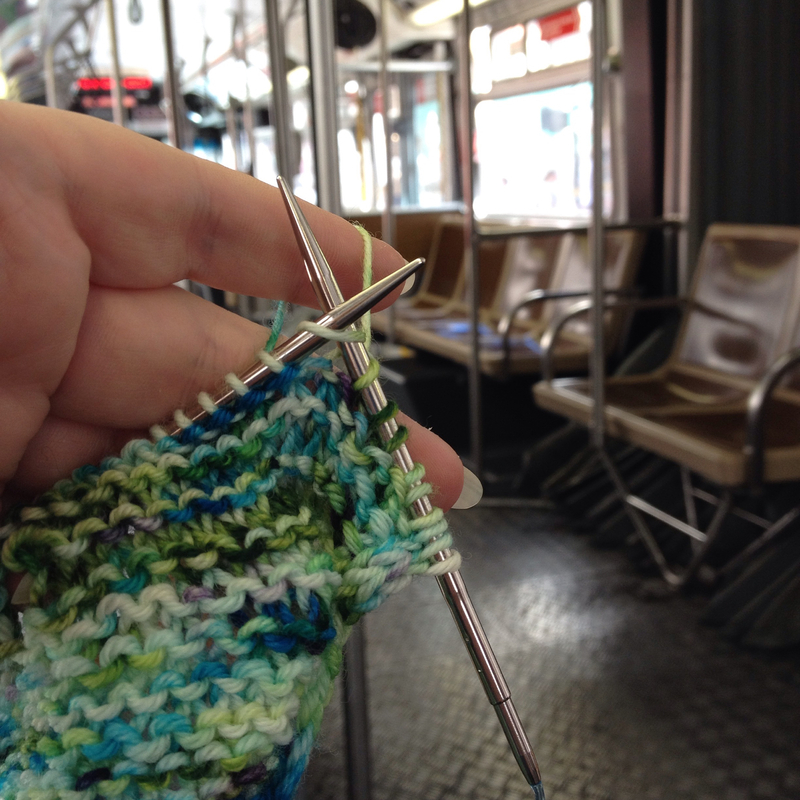 Knitting is always the first thing to suffer in times of tight scheduling. Despite that, I’ve still got most of my first sleeve done! 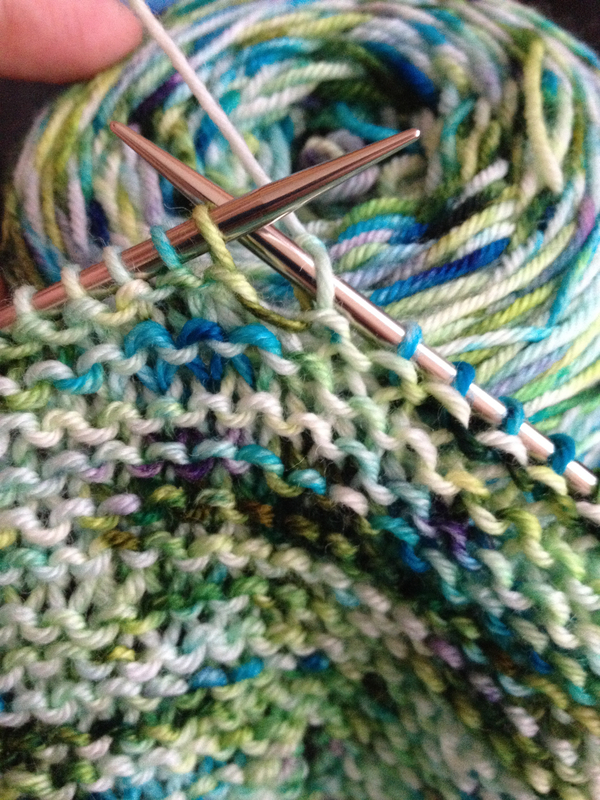 I’m just working stockinette in the round at this point. The only thing slowing me down is trying it on after every row! I just can’t resist! The pattern calls for 3/4 length bell sleeves. I’m skipping that, going for a no frills straight sleeve, probably a hair longer than a half sleeve. Done by Friday?? No sweat! Yes Sweater!! This is Lily. She’s the first and only one who’s mastered the art of the selfie. It’s grainy and crooked, she looks tough! she pretty much nailed it! Then there’s Bear. He’s the youngest and the dumbest and the most eager to please. He had fun playing for a bit! And then there’s Ginger. She’s the star of this show! 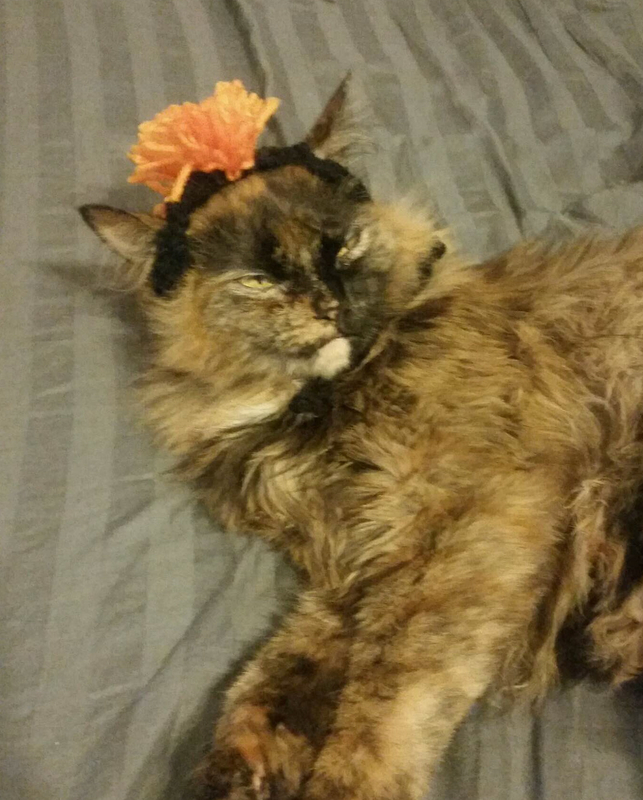 She likes getting dressed up. 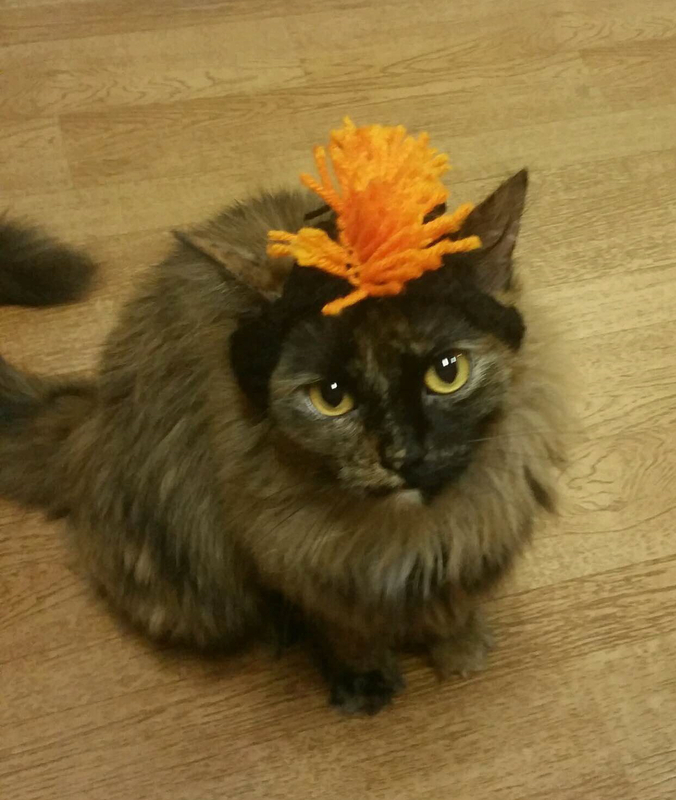 Ginger really likes her new hat. I’ve heard she’s taken to carrying it around in her mouth when she’s not wearing it and she takes it to bed with her. So cute! 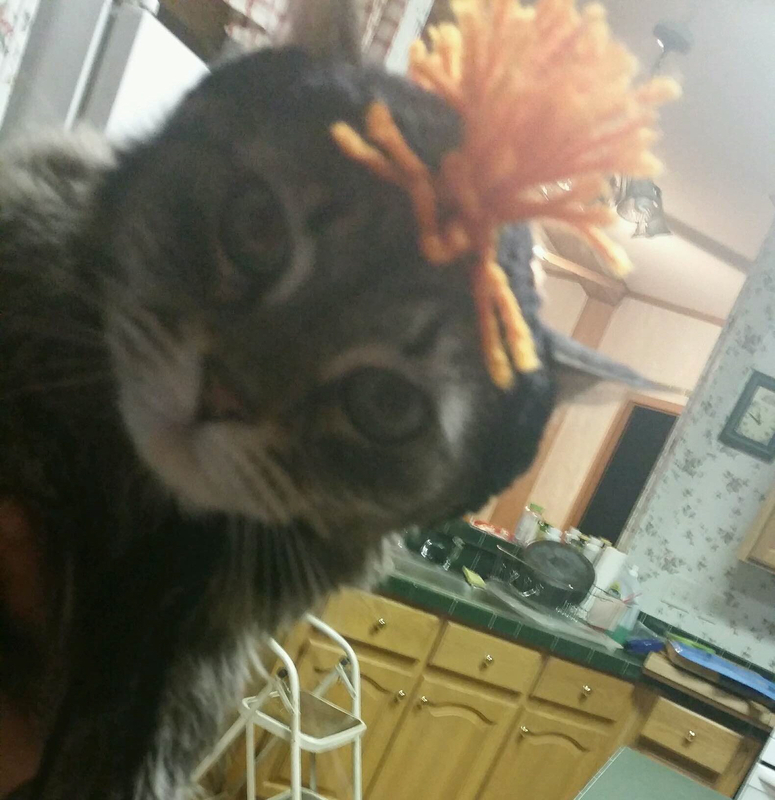 She’ll definitely be getting more hats! 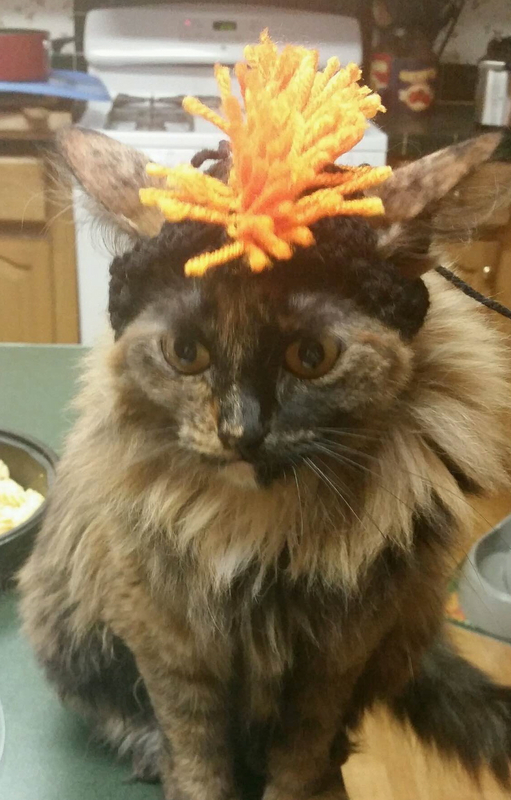 A viking hat, a pink mohawk and maybe something with eyes and antennae are the top priorities! Turns out I only need a very teensy bump to bring out my crazy cat lady! They’re done! and now with all that hat making behind me, I can get down to business on Sabine! I bound off the body! Every time I put it on, it’s better than the last! Currently loving everything about Sabine! Now it’s time for sleeves! This is the part I’ve been waiting for…no more pesky purling! Just stockinette in the round! Whooo-hoo! Tomorrow, it’s back to Sabine the cashmere cardi! 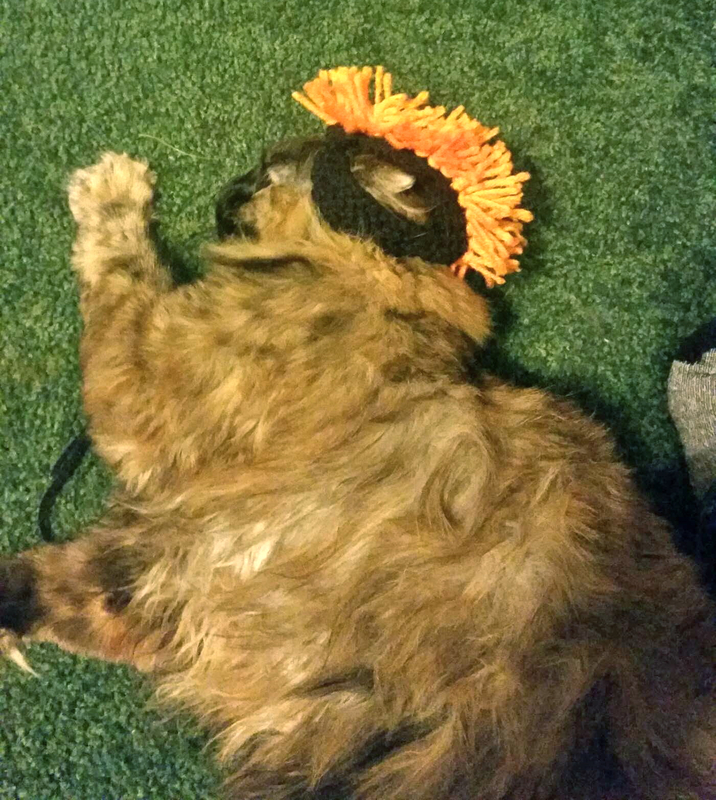 While I’ve been waiting for the final hat to dry, I bound off Sabine’s body! I’m going to start the sleeves momentarily! 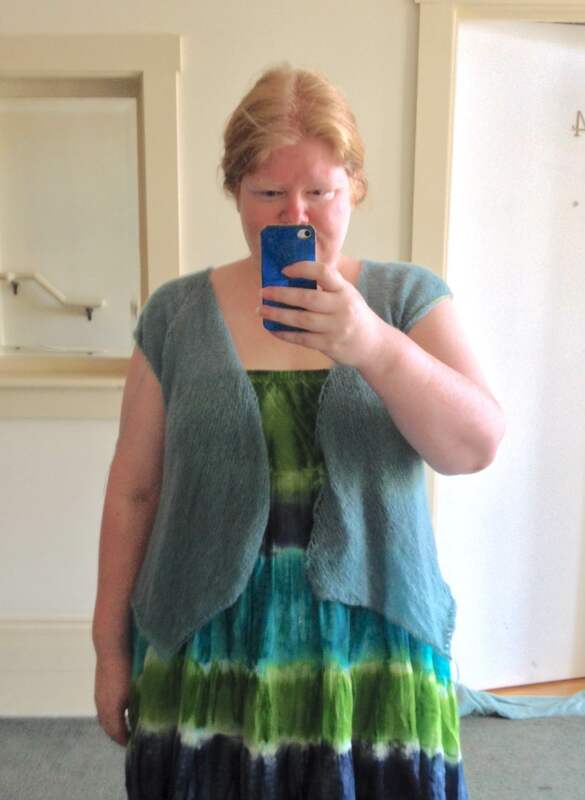 All of the swooning I’ve done so far is nothing compared to what this sweater deserves! I love it more with each stitch! It’s amazing! More exclamation points are needed!!!!!!! 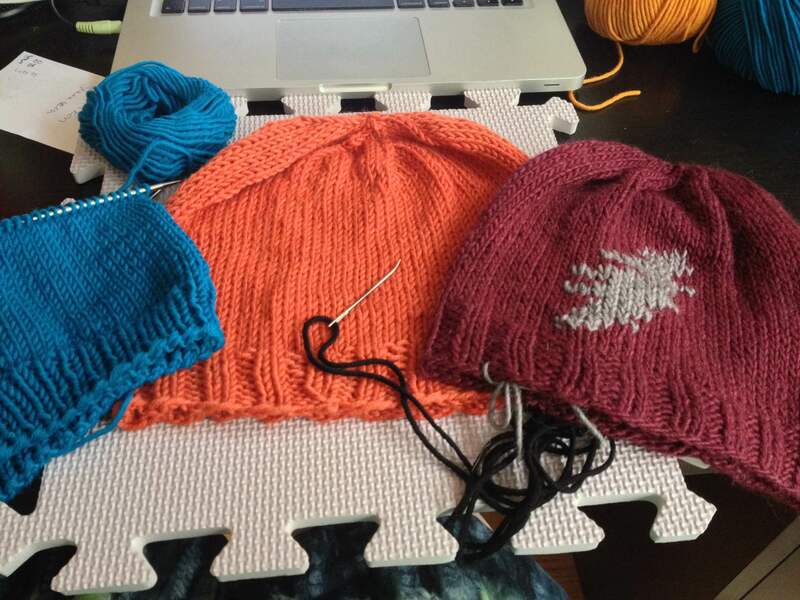 Every day I wake up and knit a hat, duplicate stitch a hat and block hat. Groundhog’s Day is the only possible explanation! 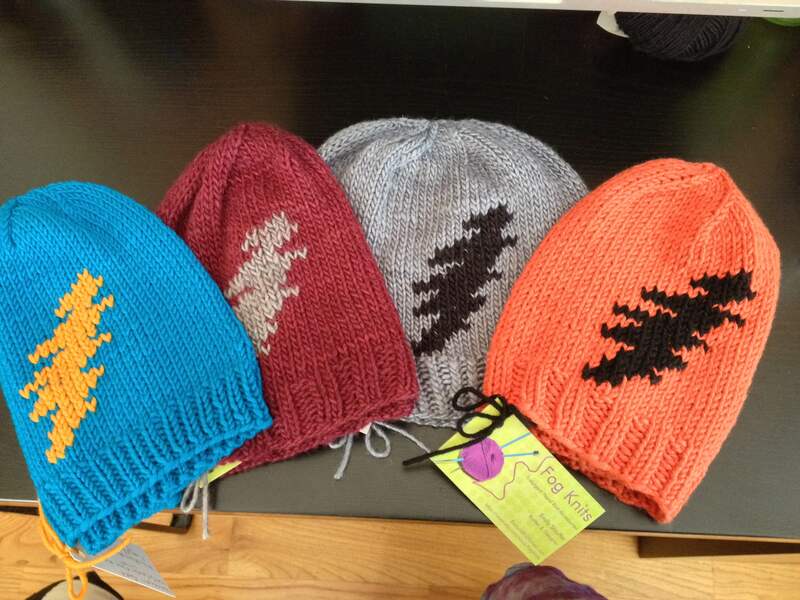 Four is the perfect number of hats to knit. I’m still making progress, I think five would push me over the edge though. I would crack. 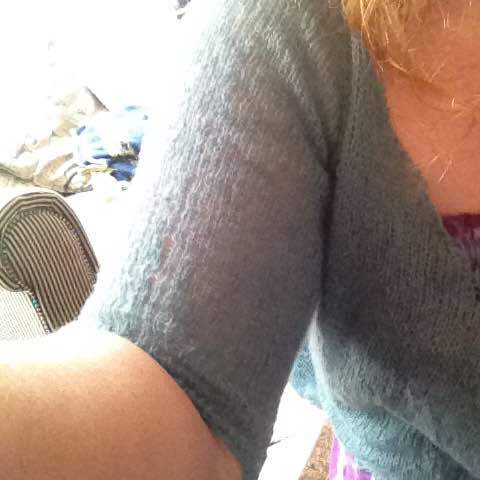 I’ve been good so far but my fingers are itching for Sabine…I miss my cashmere cardi! At this rate though, I’ll be back at it tonight! I’m pretty sure that’s how Groundhog’s Day ended…Bill Murray in a cashmere sweater! 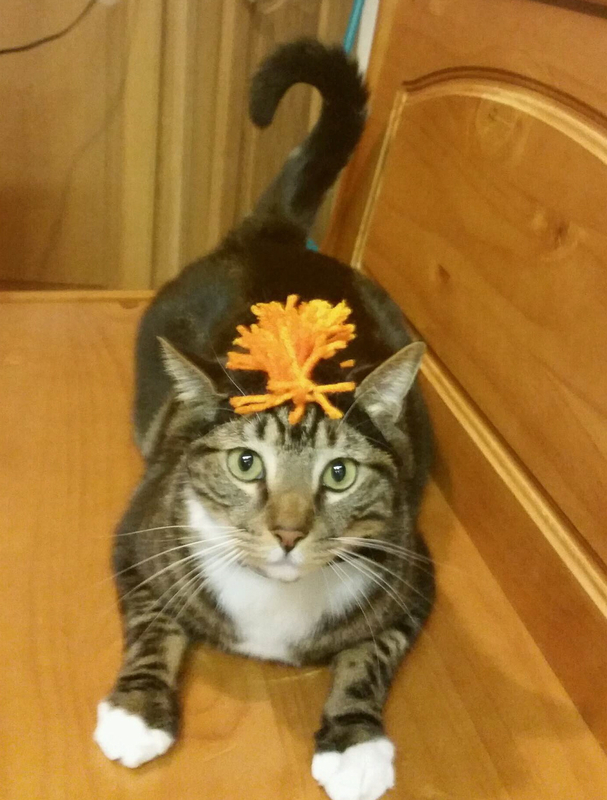 The hat train rolls on! Much like a train, I’ve stayed on track! 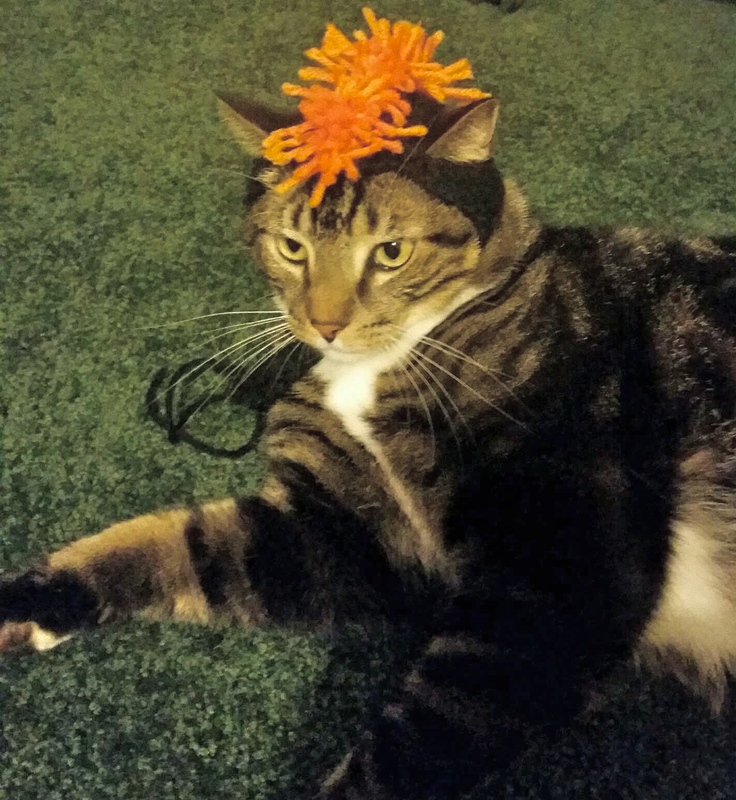 The only knitting done this weekend was hat knitting! And it shows! One completely finished! One slightly damp waiting for it’s lightening bolt. 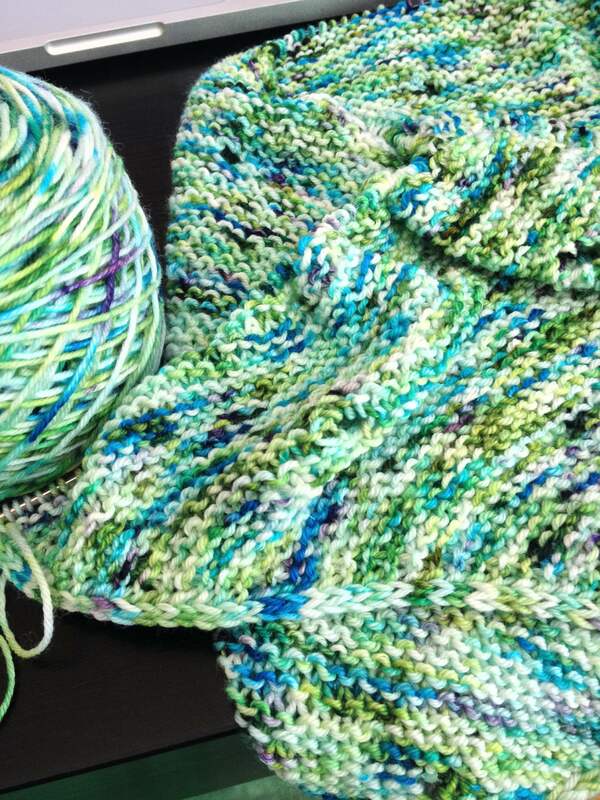 One on the needles! If all goes according to plan, the duplicate stitch will be finished this afternoon and the blue hat will be ready for it’s bath! 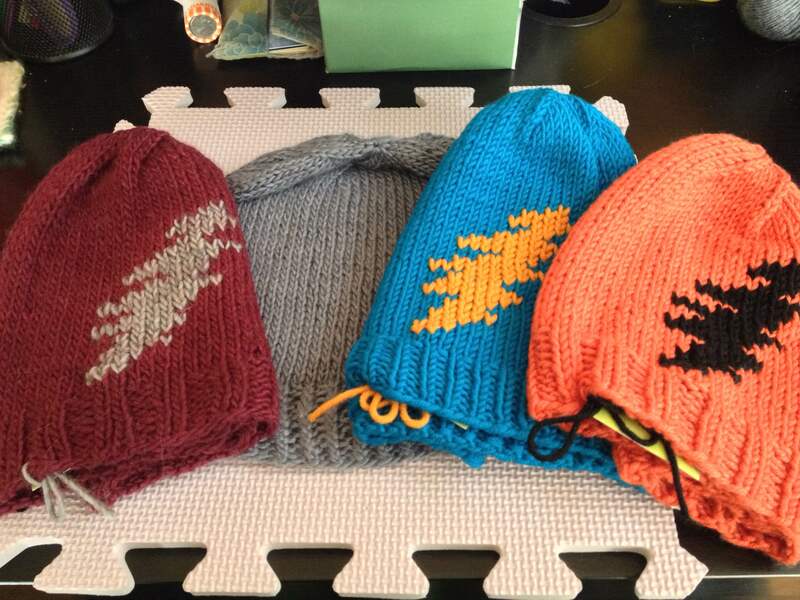 Instead of developing second/third/fourth hat syndrome like I worried, it’s been a super reminder of why I do indeed love hats…instant gratification galore! 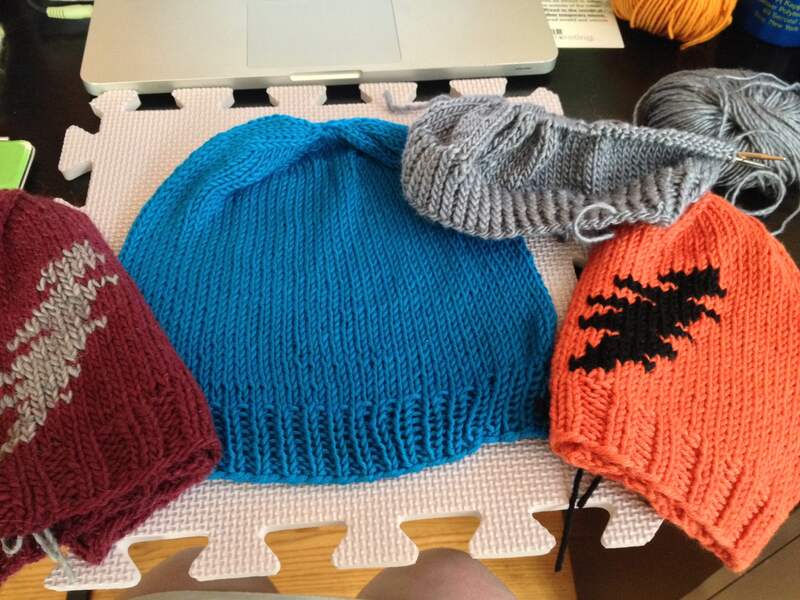 I did change up the ribbing by the time I got to the third hat. The first two are K2, P2 so I went to K1,P1 for the third and I think the fourth will be K1tbl, P1 just to keep the variation going! And best of all, I can’t wait to get back to Sabine! 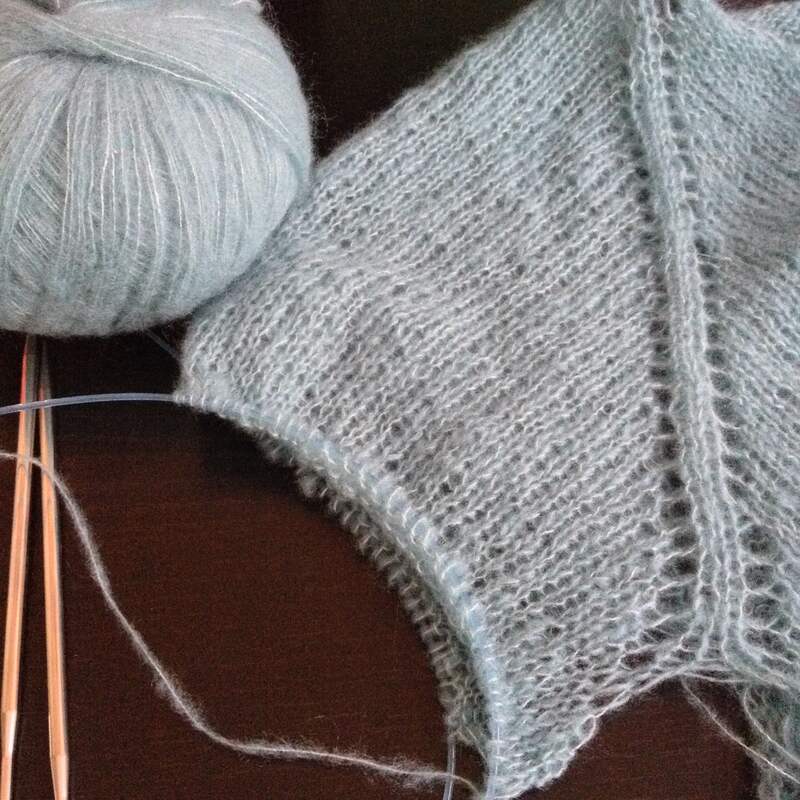 It’s nearly sleeve time, which means very soon…I’ll have a handmade cashmere sweater! Oh yeah!